Since Natalie’s last blog post, View Vehicle Record has moved from ‘alpha’ to the ‘beta’ stage. 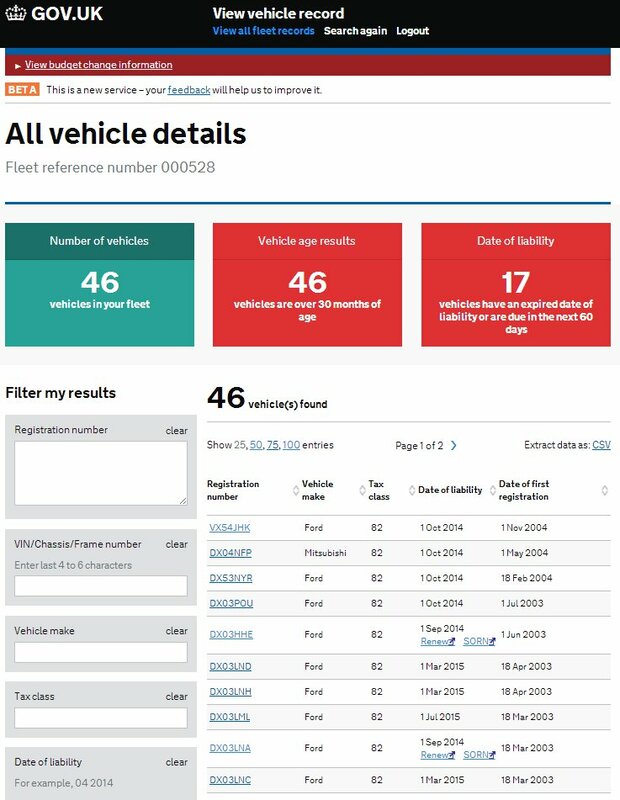 As a reminder the View Vehicle Record service is being developed to enable customers and stakeholders to view information on their vehicle(s). The service will sit on GOV.UK so that it can be easily accessed. In the first instance the service will be available to fleet companies/operators only. Based on the views of fleet companies the service being developed will provide users with a single or multiple screen view of vehicles within their fleet – see the screen shot below. During the beta phase we’ll be looking to include information about a vehicle’s MOT and taxation details. 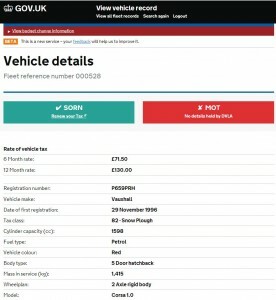 Hopefully this information will prove to be useful to motorists when looking up tax and vehicle data. What would users like to see from a Vehicle Enquiry service? Our Customer Insight Team continues to conduct user testing with fleet companies, we also recently carried out a survey to find out what users would like to see from a DVLA Enquiry Service. Understanding user needs is critical and the responses will be used to improve service development and make it fit for purpose. It also helps understand what concerns our stakeholders would like us to action. We’ll soon be approaching a limited number of fleet companies from different fleet sectors e.g. hauliers, emergency vehicles, car hire etc. They’ll be invited to use and test the enquiry service. The feedback we receive will help to change, adapt, improve and progress the service ensuring it’s a simple, better and safer for users before it's put live. Is the 'Vehicle Record' facility different to the existing 'Vehicle Enquiry' service available on GOV.UK? Hi James, yes the existing Vehicle Enquiry Service (VES) is aimed at the motor trade and consumer, wishing to find out some basic information about any vehicle. The service which I'm developing will allow Fleet companies who are associated with DVLA as part of our Fleet Scheme to securely view the information which is contained on the V5C for all their vehicles. It will also provide some additional information similar to the VES such as tax information and MOT information (if we have it captured). This will then support the Red Tape Challenge commitment to suppress the V5C for Fleet companies that choose to do so. Will there be any enhancement in future to the VQ616 requests. Currently it can take up to 3 weeks to get a response via post and if this could be moved to an online request form with a response via email that would help local authorities like ourselves greatly. Hi Gillian, we’re keen to work with Local Authorities to understand current issues and find ways to overcome them. The VQ616 is on the radar but as yet I can’t give a date of when we can specifically look at this process. If you’re interested in possibly testing any new processes, please send an email to VVRprojects@dvla.gsi.gov.uk and we’ll add you to our stakeholder list. We can then contact you when we’re in a position to look at this more closely. This is a really clever idea, we're fleet operators and with the abolition of tax disks it will certainly come in handy! Quick question for you though, do you know if there's any way that I could find out the location of a vehicle that's not in our fleet/ownership? I do know that it's currently taxed and tested, but is there any possible way to find out further information? Hi, We are a used commercial vehicle sales company in Northern Ireland. We source our vehicles, mostly from uk Auctions. In the past we notified DVLNI (Coleraine) of any new purchases using the V8(NI) form. Where and how should we notify new purchases? We are aware for sales we need to fill out the appropiate details on the V5 certificate but as our purchases are coming through an auction, no details are filled out by the auction stating us to be the new owners. Hi Margaret, there's no longer a requirement/facility to send an electronic equivalent of the V7 and V8, and T1, T2 forms to notify disposal to trade or movement through the trade. These forms will no longer be issued. 1. The customer is required to notify the initial disposal of the vehicle into the trade by completing the V5C/3 and returning it to the DVLA, Swansea SA99 1BD. 2. They will receive a letter from DVLA within 4 weeks confirming that they are no longer responsible for the vehicle. 3. If they do not receive the letter in this time they should contact DVLA to confirm that the notification has been received. 4. There is no requirement to notify DVLA of any movement of the vehicle through the trade but the V5C (motor tax book) should always be passed on with the vehicle if the vehicle is passed to another motor trader. 5. When the vehicle is purchased by a new keeper from a trader the new keeper is required to notify DVLA by completing and returning the appropriate sections of the V5C. The customer should retain the V5C/2 new keeper supplement. From the 1st of October, when the tax disc is abolished it's vital that the registered keeper of the vehicle notifies DVLA that they have disposed of the vehicle. •	From the 1st of October, when DVLA is notified that a customer has disposed of a vehicle, they’ll automatically be refunded any full months of tax which are outstanding. If they delay sending in the V5C/3 this may impact the amount which is refunded. If the customer pays by Direct Debit (from 1 November 2014) payment will continue to be collected until the notification of disposal is received. Hi Paul, thanks for your comment. 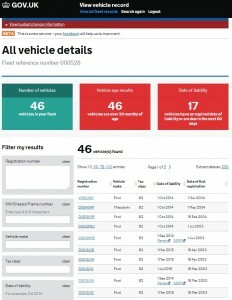 View Vehicle Record will be available to Fleet companies who are associated with DVLA as part of the Fleets scheme. It's not clear whether you are from your comment. So if you're not, please see a news item we published on joining https://www.gov.uk/government/news/benefits-of-joining-dvlas-fleet-scheme We're still working on the number of users we need to pilot the service and how long that period will be for. The issues encountered with the enquiry service on the 1st have been resolved so you can still check your vehicles for tax information via this service. Will we be able to see information relating to vehicles that were on our fleet but are no longer on our fleet? i.e., to enquire/confirm that DVLA has received a change of keeper notification and when DVLA removed that record from our fleet. Will we be able to record online a change of keeper? Hi Clive, Once a vehicle has left your fleet access to information relating to that vehicle will not be available. An online service to notify a disposal to the trade will be available soon. Once the online transaction is completed a confirmation pdf is sent immediately to the person who completed the transaction. Whether notifying DVLA online or via the post with the V5C/3, the now previous keeper will still get confirmation that the vehicle is no longer in their fleet. Vehicle Management (VM) is currently developing acquire a vehicle from trade i.e. 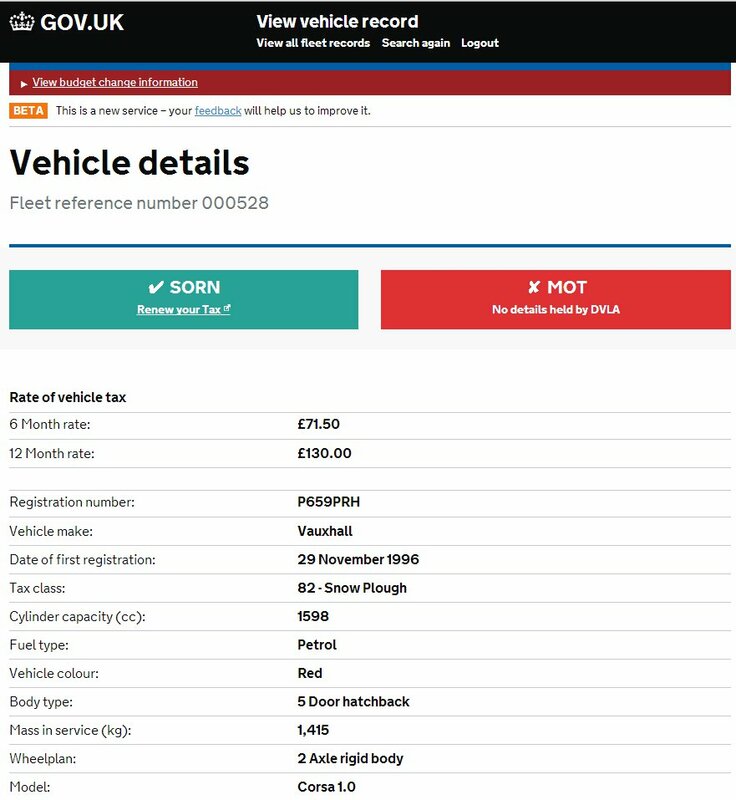 notifying DVLA of a new keeper online, when buying a used vehicle from a motor trader. This will be available (in Private Beta) in December and in the New Year for all. The next phase of VM will be private vehicle sales (Private to Private). This will allow anyone to notify a change of keeper online and this is planned for Spring 2015.